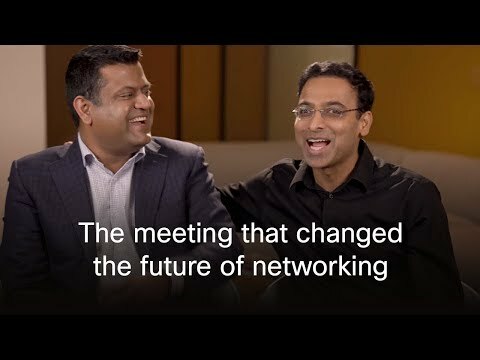 SAN JOSE, Calif. – August 5, 2013 – A new generation is entering the management ranks of companies worldwide, and like previous generations, they will bring with them their own preferred ways of communicating and collaborating. A global study announced today by Cisco revealed that the majority of these next-generation executives intend to depend heavily upon business-class video to connect with their teams, colleagues, suppliers, customers and prospects, as well as to help their businesses deliver new products and services. Findings show that young executives anticipate that video will dramatically impact the way they communicate. While three out of five (61percent) of the young executives said they will rely more heavily on business-class video in the next five to 10 years, those who aspire to manage the largest teams intend to rely upon video even more; 70 percent of those who aspire to managing teams with 51 or more members said they will rely more heavily on video as their careers progress. As video is clearly on the rise amongst young executives, what do they perceive as the medium's main benefits both today and tomorrow? Tomorrow: They anticipate video technology innovations will allow them to both customize and enhance the experience - both things one cannot readily do when face to face. 21 percent indicated they are keenly interested in features that will take the conversation to the next level—such as real-time language translations (for example, closed captioning for telepresence) and pop-up bubbles that would provide background information on participants from sources like LinkedIn and Salesforce.com. Attracting talent. Nearly nine out of 10 (87 percent) stated a company's video investment would sway their decision-making process when considering otherwise equal job offers. Respondents said that an enterprisewide commitment to video technology would make them "feel like the company cares about using technology to fuel business growth." Focus on the smaller organization. Three out of five young executives at businesses of 400 people or fewer said they are experiencing increased communications challenges due to language differences as business becomes increasingly global. Reduce language barriers. Of those who reported feeling challenged due to language differences, 94 percent said video can help overcome language barriers. giving both parties a better feel for how the conversation is going. enabling participants to visually pick up on when others do not understand a concept. building good will across cultures. Simplicity and pervasiveness. Survey data shows that if video were as simple to use and as pervasive as other common communications tools (desk/mobile phone, instant message, email), the majority of young executives would utilize video quite often: 84 percent said they'd turn to video for at least one out of every four interactions when they are not physically in the same location as the person or persons with whom they are collaborating. Moreover, 53 percent indicated they are would-be "power users" who would turn to video for 50-100% of their non-face-to-face interactions. "Today's leaders are often tech enthusiasts. Tomorrow's leaders are increasingly tech dependent and video is no exception to the rule. The next generation of leaders is realizing that using video makes them more productive, helps companies reduce costs, and even plays a role in attracting the best talent available. They understand why video can be better than being there." The 2013 Cisco Global Young Executives' Video Attitudes Survey, which included participation from more than 1,300 young executives globally, was commissioned to better understand the attitudes young management-track professionals have about the business-class uses for video both now and in the future. The survey was commissioned by Cisco and distributed by RedShift Research with the goal of helping business leaders and organizations better understand the promise and challenges related to video in the enterprise. The countries that participated in the survey were: Denmark, Finland, France, Germany, Norway, Spain, Sweden, the United Kingdom and the United States.